A wonderful place to find your new pet, Scituate Animal Shelter typically has a wide variety of dogs and cats waiting to find forever homes! A volunteer, non-profit organization that helps the elderly and needy care for their animals. Tufts University in North Grafton, MA, has the closest veterinary teaching hospital in our area. They are state-of-the-art and are an option for owners who would like to pursue more extensive treatments/diagnostics for their pets. Have a question about your cat's health? Search for some information from Cornell University! Many of our oncology patients get referred to the wonderful doctors at NEVOG. They have worked very well with our clients and patients and are well respected in the veterinary community. Angell Memorial Hospital is a large facility that can accommodate the needs of your pet in the event of an emergency or extensive diagnostics or treatment is required. They are located in Boston. 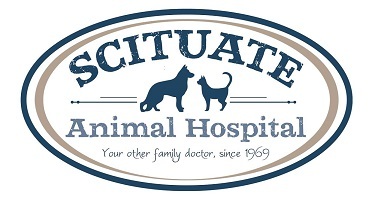 Ocean State Veterinary Specialists is a 24 hour emergency and referral hospital who can see your pet if we are unavailable or in an emergency situation. provides independence to people who are deaf or have a disability through the use of canine assistance.